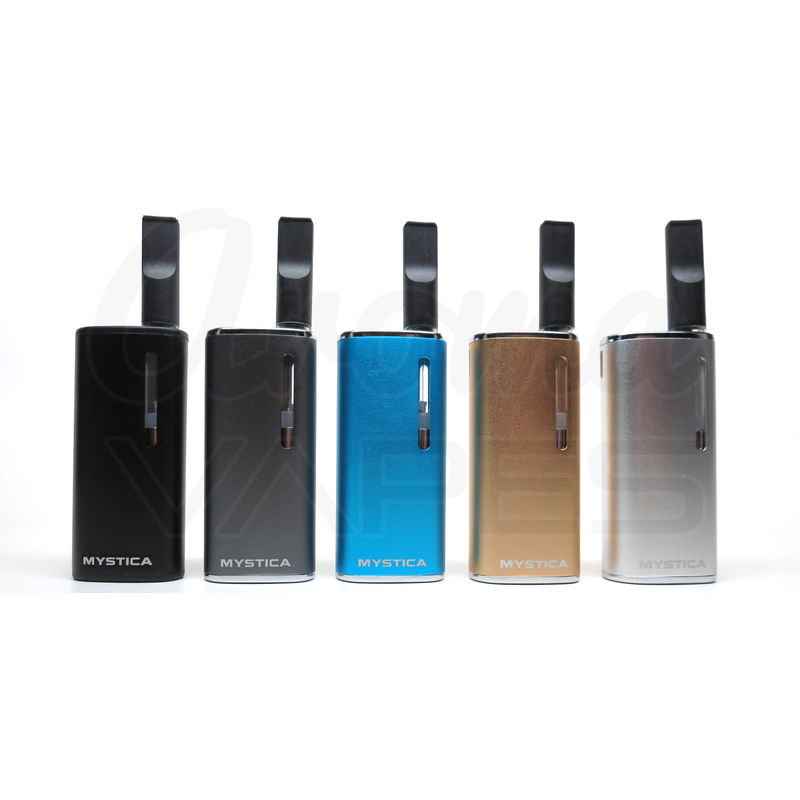 The Airistech Mystica VV the follow up to the original Mystica device from Airis. 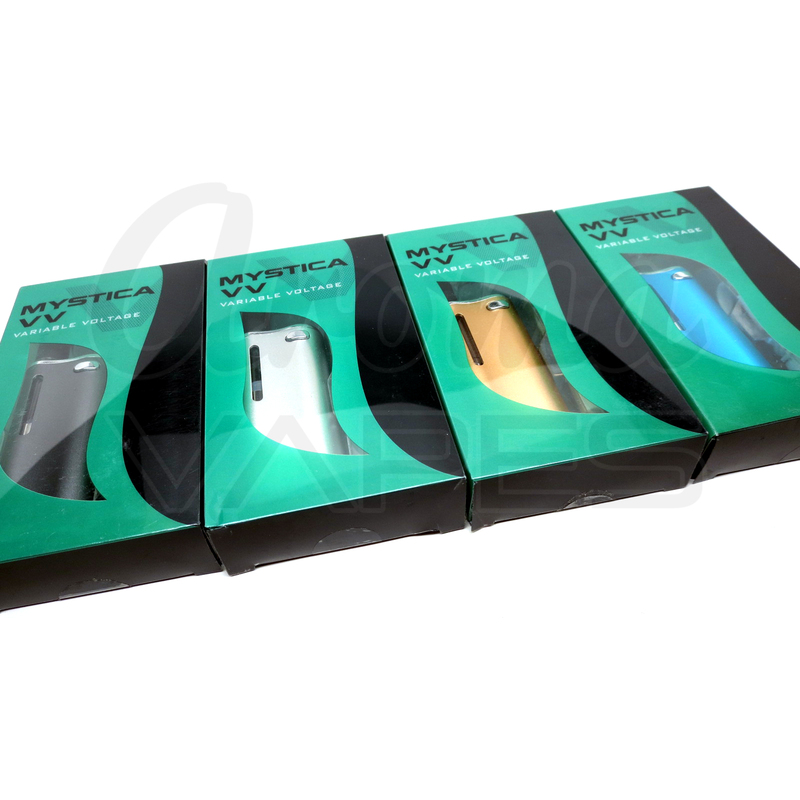 The upgraded Mystica VV features variable output voltage for full control over the quality of your aroma. It also features a preheat mode that will help to warm up the attachment before use to prevent clogging. 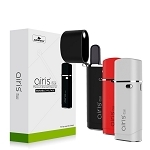 Airistech includes (see options) a removable and refillable attachment for thin oils that can hold up to 0.8mL of oil at a time. 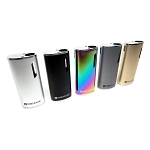 This cartridge features a leak-proof structure and it utilizes the convenient magnetic adapter ring connector for a strong and reliable connection between element and battery. 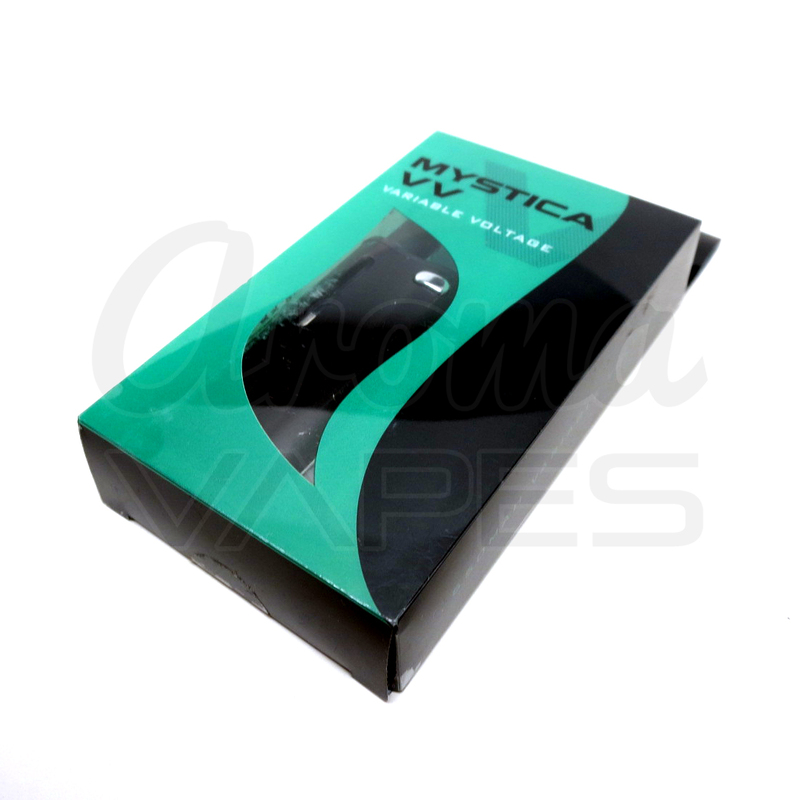 The Mystica VV's internal battery has been optimized to match most similar elements currently on the market. If you have your own pre-filled aroma attachments, this device can be matched with most 510 threaded attachments that measure up to10.5mm in diameter. Simply remove the magnetic adapter from the included attachment, thread in onto the base of your cartridge and drop it into the Mystica's housing. I actually bought this just off of a recommendation, and I honestly could not be happier that I did. Besides the obvious "bennies" this model has like microUSB charger (instead of some unique proprietary add-on or dongle), multiple voltage settings, cartridge warm-up, sleek, blah, blah, blah...this is just a really good battery. You don't get insane clouds, but you still get good flow...because the cartridges slide into the battery, it's a lot more discreet than others I've tried...just a really great package for the price. 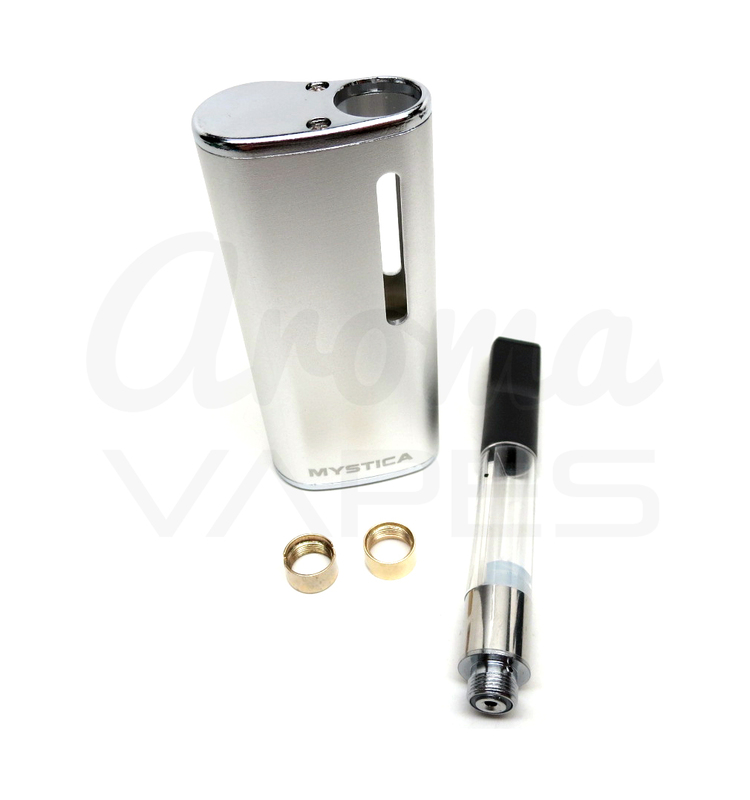 I recently discovered Aroma Vapes and was amazed at the selection, I ordered the Mystica VV kit. It arrived within a week and packaged nicely. 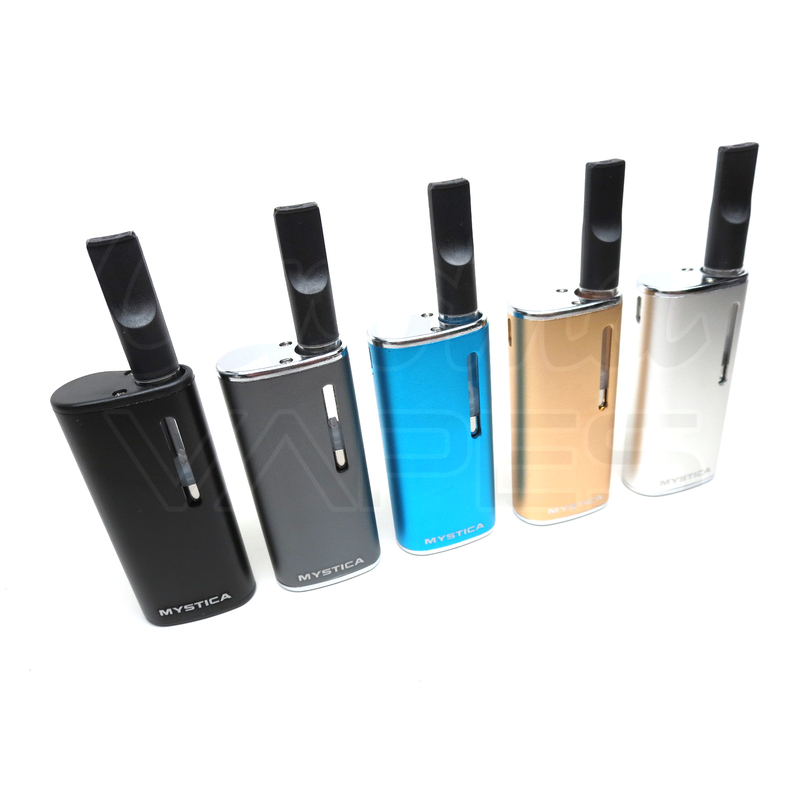 I like the compact size of the unit and the variable voltage has proven to be helpful with different oil blends. I highly recommend ordering from Aroma Vapes and I'm sure I will be shopping here in the future. Nice & small & compact I like these kinds the best because you can throw one in your pocket and go. I ordered this for a friend and liked it so much I ordered one for myself as well. This is now my smallest and most discreet device and I love it! Fast delivery too! 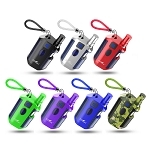 Aromavapes is a great site - my order shipped very quickly and immediately upon opening my package and using my product I was so happy with it that I made an immediate additional purchase of a bunch of these for friends/family with the included coupon code for having made an initial purchase. I've always had issues with regular style batteries for pre-loaded concentrate carts and this is literally the answer to my prayers - I now have a few different options of the same style device. Discrete, voltage options, a pre-heat function, and the magnetic threading is amazing - highly recommended, as is Aroma Vapes. The battery lasts long very small product I was surprised nd pretty handy thank you! 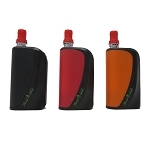 Love the size, fits in hand just right, perfect little vape for decrete use. I bought a vape by dabix with the exact same build for $20. This one is just as strong with even more features for a lesser price!! 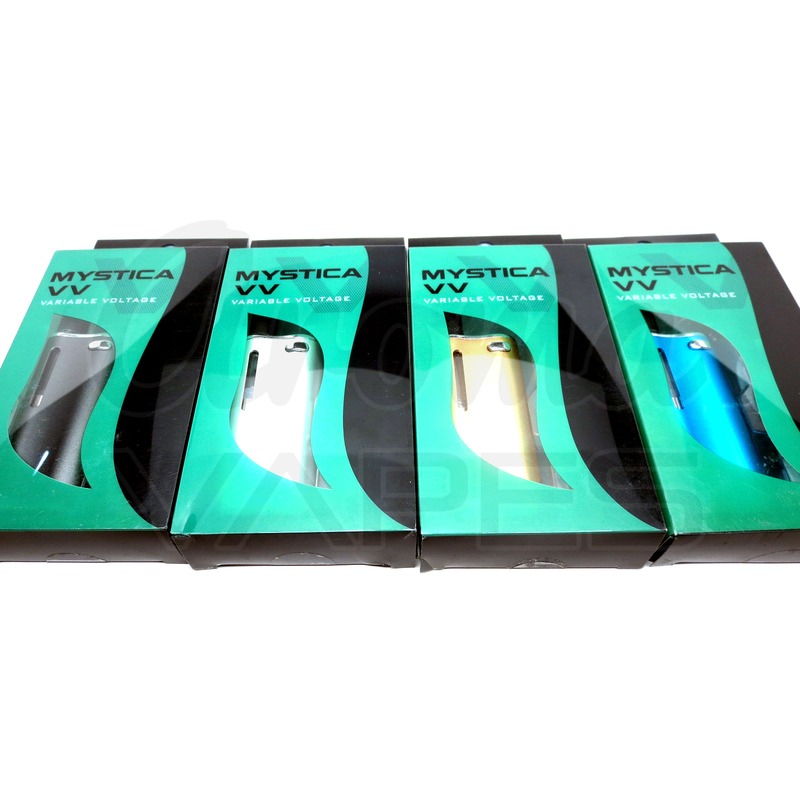 Q: I use prefilled cartridges with the original Mystica. I want to purchase another one. What would be the advantage of upgrading to the VV? A: Prefilled cartridges from different brands can have varying resistances. 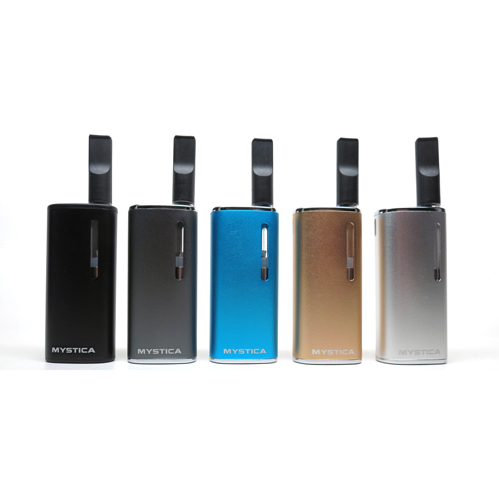 Unlike the original Mystica, the Mystica VV has 3 voltage presets, allowing you to use a lower or higher voltage level to improve your experience, no matter which brand of type of cartridge is used. 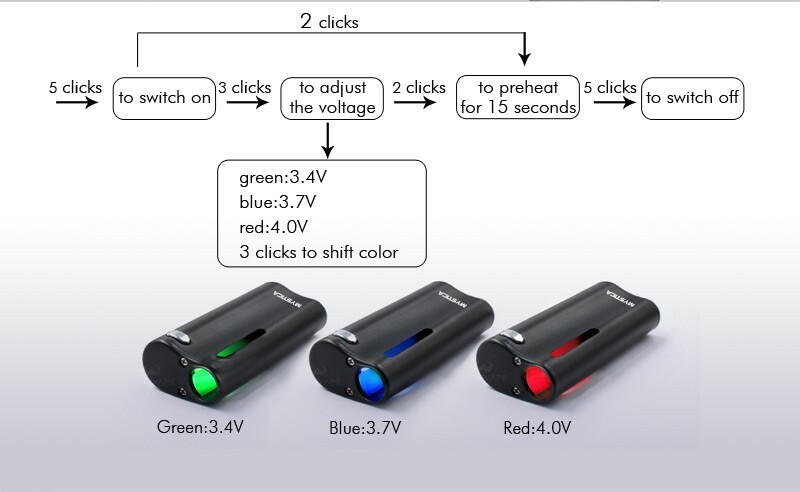 The VV version also includes a pre-heat mode the original does not, making it easy to clear clogs or preheat especially thick material. Q: Is this made for a 1.0mL or a 0.5mL cartridge? If you use a tall cartridge does it stick out a lot? 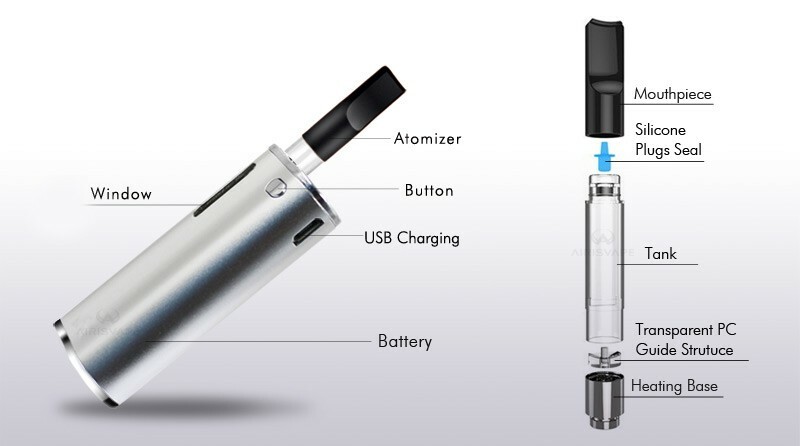 A: It can be used effectively with both 0.5mL and 1.0mL capacity attachments. Although tall cartridges are not all the same height, generally speaking it will not stick out much, if at all.